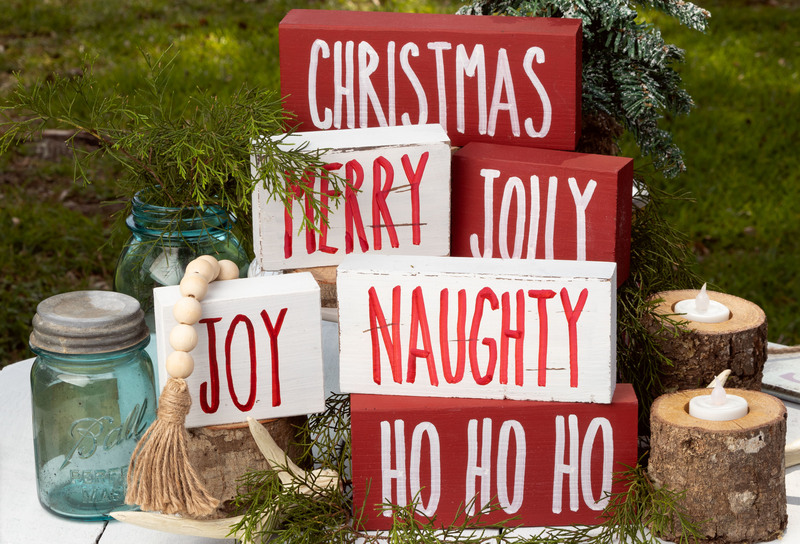 Rae Dunn Inspired Christmas Signs are so quick and easy to make. They add that something special to your holiday decor. They make budget friendly gifts too. It is the most wonderful time of the year. 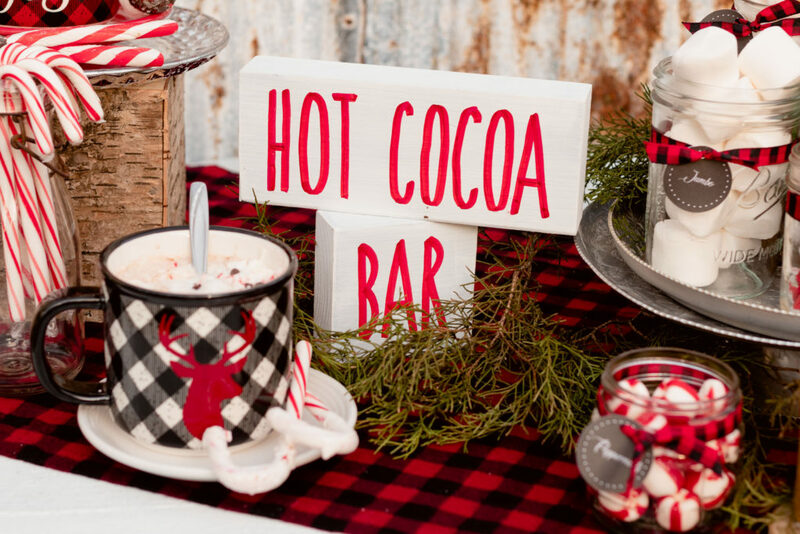 Why not make some hot cocoa with caramel sauce and get cozy while crafting some Christmas signs? 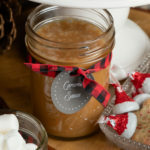 See my post for the best hot cocoa with caramel sauce recipe HERE. Now back to the those adorable Christmas signs. 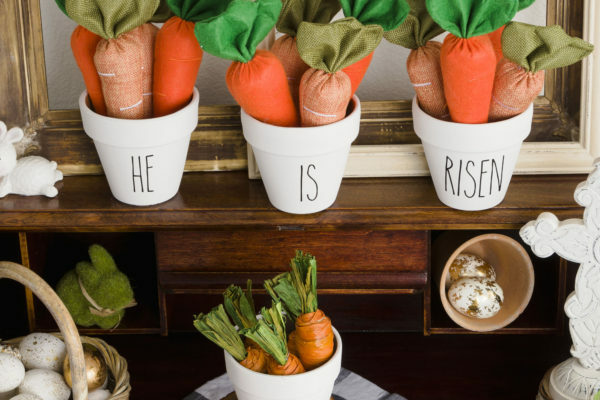 These cuties are a breeze to make. The hard part is deciding which ones to make. Why not make them all and surprise everyone on your Christmas gift list with a handmade gift? 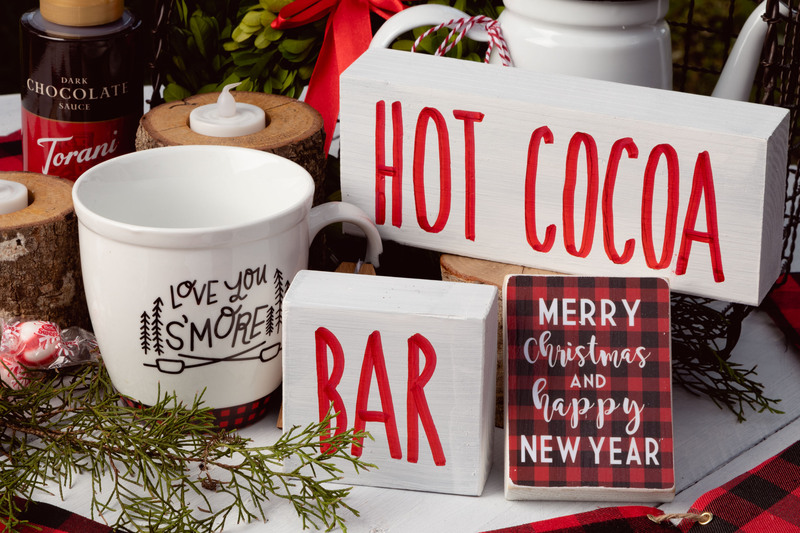 If you have been following my blog then you know how much I love a Hot Cocoa Bar, so my first Christmas designs were these signs. 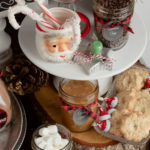 This photo is from my Hot Cocoa Bar post read more about how easy it was to set it up HERE. 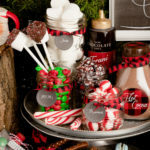 I like to have to have the Hot Cocoa Bar ready right before Thanksgiving, since it signals the beginning of the holiday season. Everyone gathers around to enjoy some sweets in the evenings after work and school. It definitely makes you feel festive. 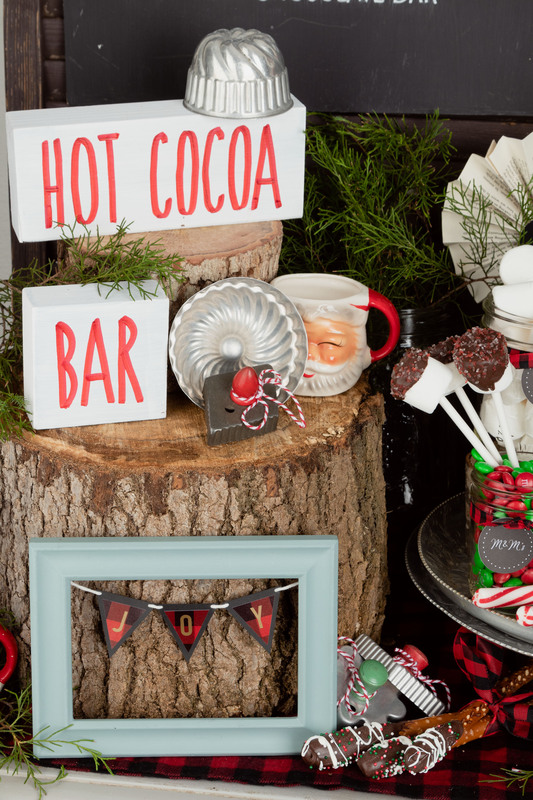 Vintage Santa’s, rustic wood slices, buffalo check, greenery, handmade signs, mini garland and sweet goodies are the stars on this Hot Cocoa Bar. I used Dixie Belle Paint in the colors, fluff and barn red to paint the blocks. I sanded some for a rustic look. Then I used the same techniques as I did in this earlier post to make these signs you can check it out HERE. 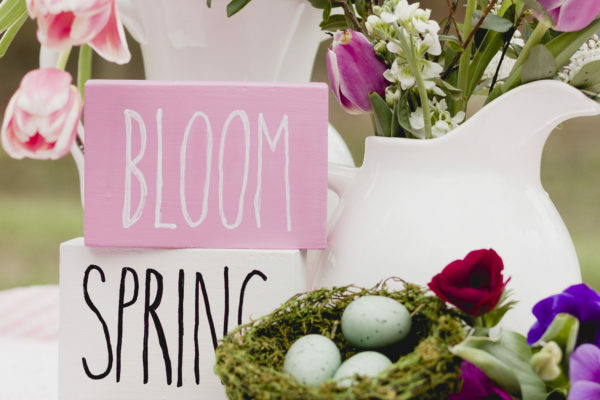 There are some other cute sign designs the with a free PDF download that I have attached HERE. What are some of your holiday traditions? Cutting down a fresh Christmas tree? 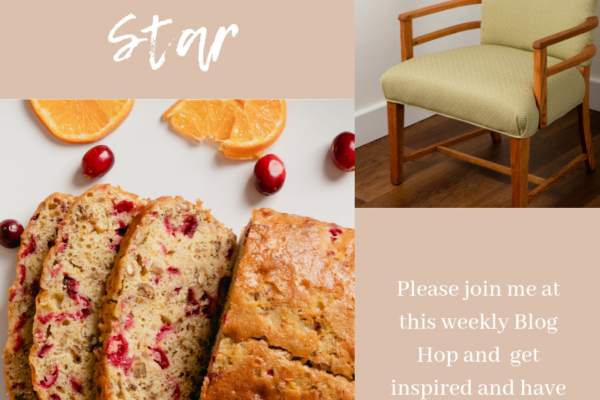 I enjoy visiting with friends both old and new, so please leave me a comment below.